Big advantage of being the distributor for Italy and official partner of Cabrinha is, that you get next season material quite early so you can test it out and produce some promotional content, which can be posted right at the day of official release. 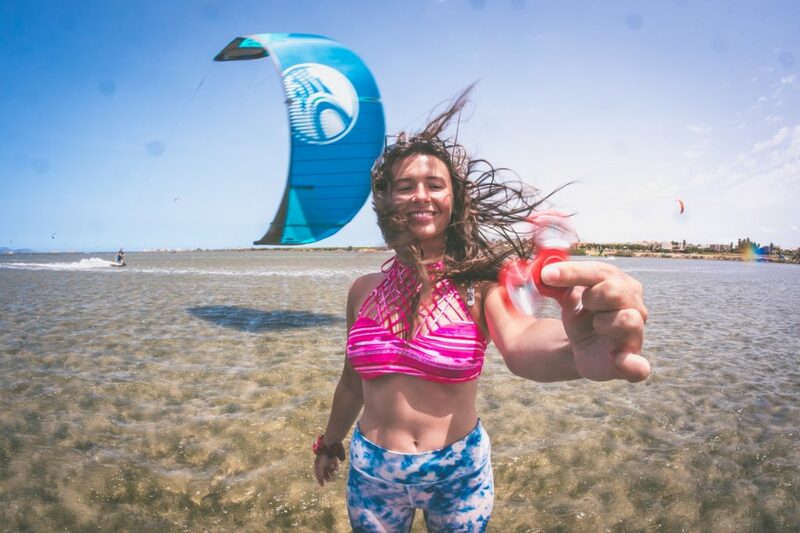 Together with Alby Rondina we had few sick days on water here at ProKite Alby Rondina with new gear so we would like to share with you not only the shots we did, but also info about new collection and our thoughts on it. 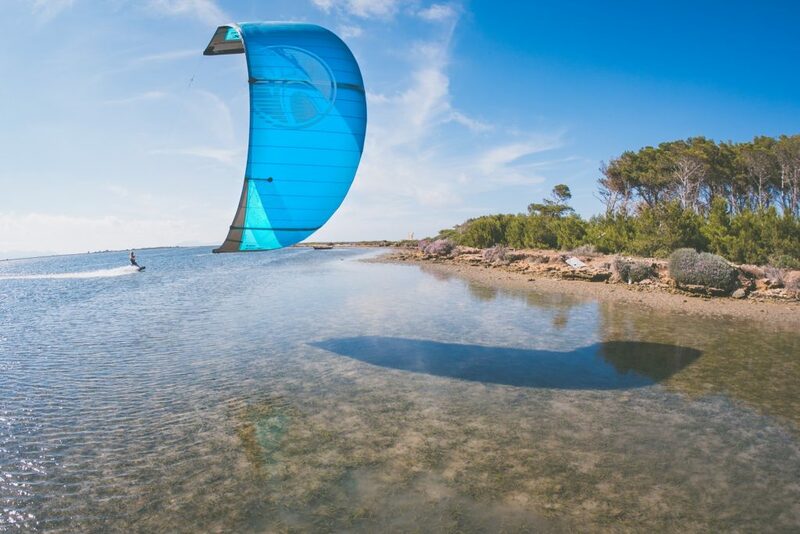 First, let’s focus on completely new and important improvements – all Cabrinha kites in 2018 range has new Dacron material (the material which is on leading edge, struts and end of canopy) called High Tenacity Dacron. It’s material specially designed for inflated kite structures and there is a tons of technical mumbo jumbo about it if you head to www.cabrinhakites.com but what is important to know is that this material will keep the shape of the kite for a longer time, unlike some older kites who lose the shape and look weird after. Also the kite is more rigid and will fly better in the air, so no jelly time this time! Talking about kites, biggest change was done on new DRIFTER, which is kite for waves and due to new Dacron it had to be completely redesigned to have really accurate profile. It got also new shape, some extra battens so the canopy is not going to flop in the air. What will be noticeable change is the feel on the bar, which is now much softer and more responsive. 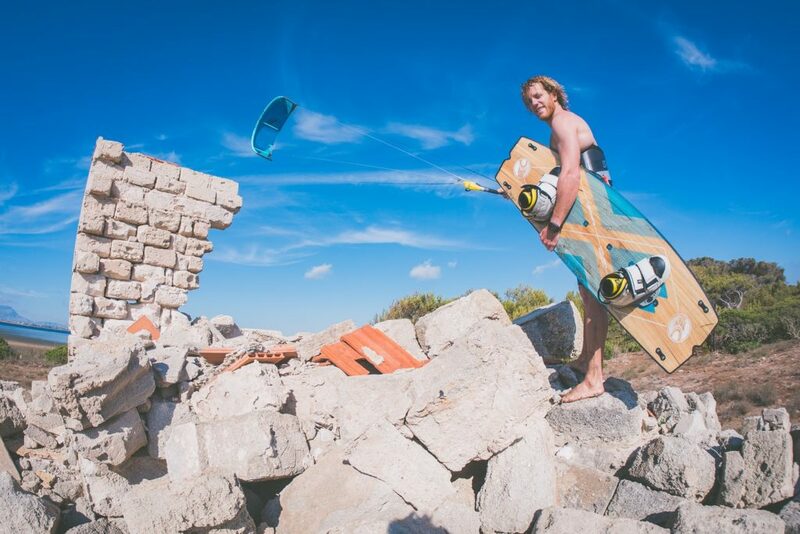 Basically kite is now faster which was what surfers asked for, especially for bigger sizes. It still has his characteristic drifting ability, which means that even when the leading edge is faced up while you smash that waves the kite is not going to backstall, but instead nicely drift thought the air, so you can focus on carving that pictures on the faces of waves! 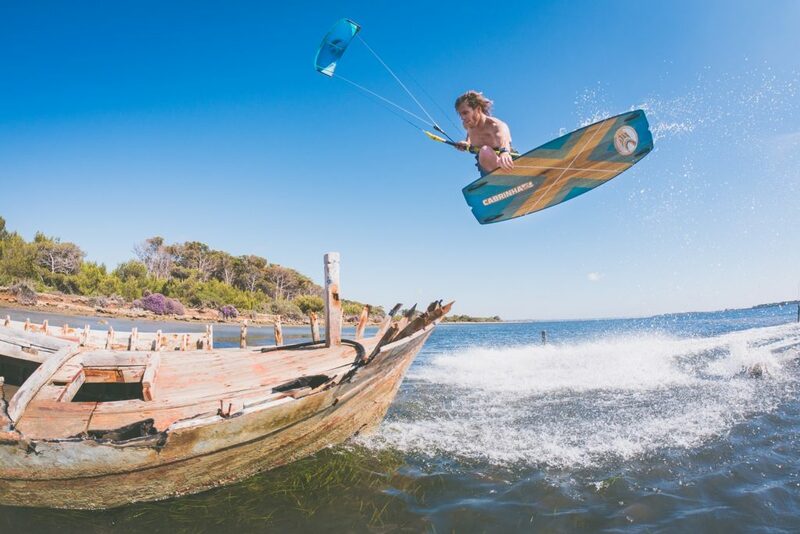 Some changes were done on Alby’s favorite kite FX, it’s shape was also tweaked due to new Dacron, but more important it comes now with different bridle settings for different riding styles – Freeride (maximum power delivery), Kiteloop (factory setting) and Freestyle (maximum slack). 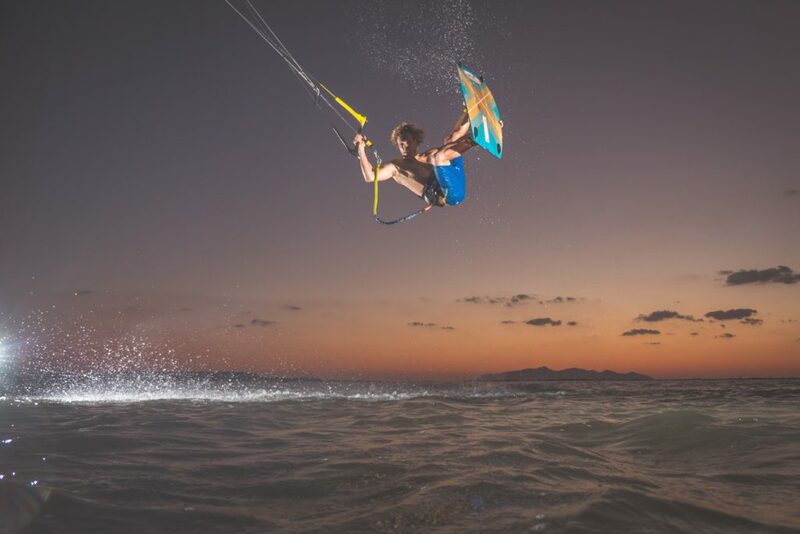 What it does in brief is that it keeps the kite either deeper in wind window (freeride) where it has more power and park and ride ability, or more out of the wind window (freestyle) which will get kite much more slack for unhook tricks. On the other side we have the boards, all of them have a brand new design thanks to new designer Lars that works for Cabrinha. Freestyle machine XCALIBER now comes in two versions – carbon and wood which is more friendly, softer. 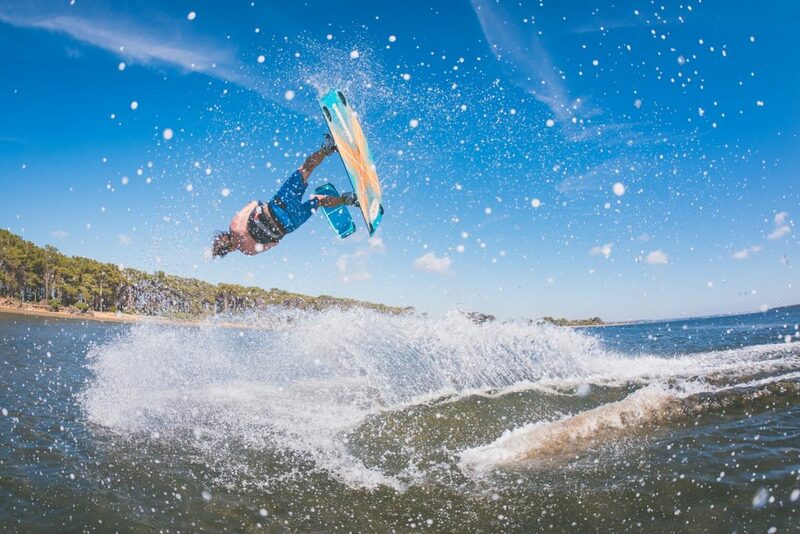 Top selling board ACE also comes now in carbon and wood, as well as it has new shape with deeper channels for more grip. Big changes also happened on foil board Double Agent, it has now sick fish-like shape and board comes in two sizes. 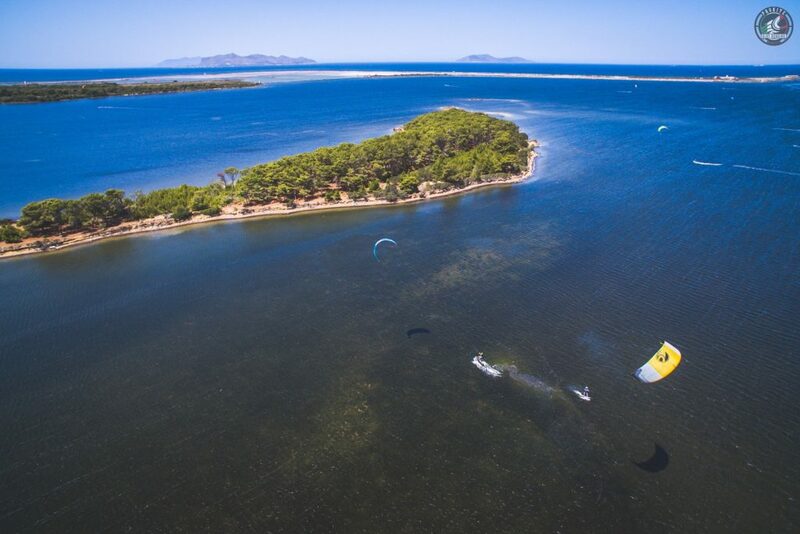 Also you can choose from 3 sizes of foil mast, so if you are a beginner or you kite on shallow spot, you can start with a shorter one. Alby was first riding the gear during official photoshoot in Hawaii, later he got 2018 FX & XCAL here at ProKite Alby Rondina in Sicily. We made couple of shoots, not always lucky for the wind but that’s the part of the game. On our first shoot we went behind the island so we could have some privacy but the wind was very light so the 12 FX was barely enough. Still we were surprised that is was holding nicely in the air, had perfect relaunch (in very rare case of Alby crashing) and was enough to do some small jumps and tricks for fisheye (especially jumps over old boat!). 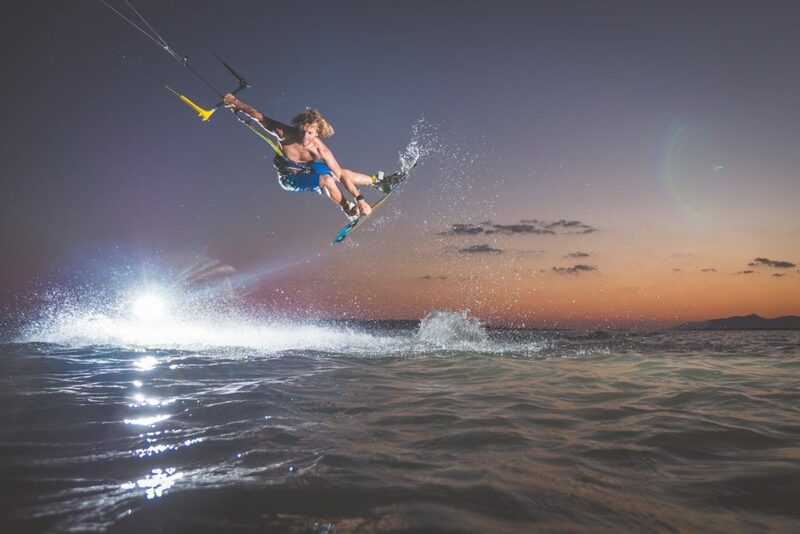 We were luckier during the shoot of video “ProKite Story – “Alby’s Kite Paradise in Sicily” where we kited further away on perfect flat water Caribbean-looking spot with pumping wind, where tricks were just rolling. I choose to ride the FX as soon as it came out a few years ago and I’m stoked about it. 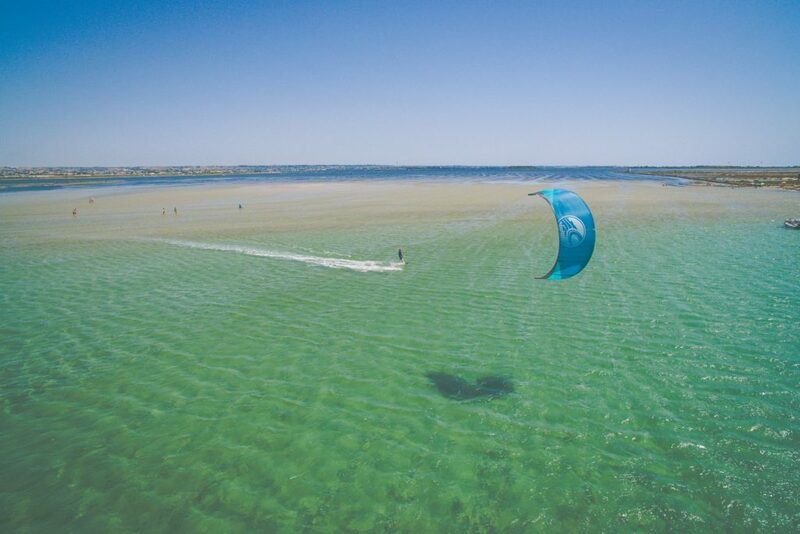 It’s just a super fun kite, I use it for freestyle, in the waves, for megaloops and foiling too! The cool thing is that here in Sicily I get to do really all of these things, so I just have my FX’s in the car and I’m always ready to do whatever the conditions are offering! On the 2018 model I can actually tweak the bridle and make it more suitable for what I decided to ride! 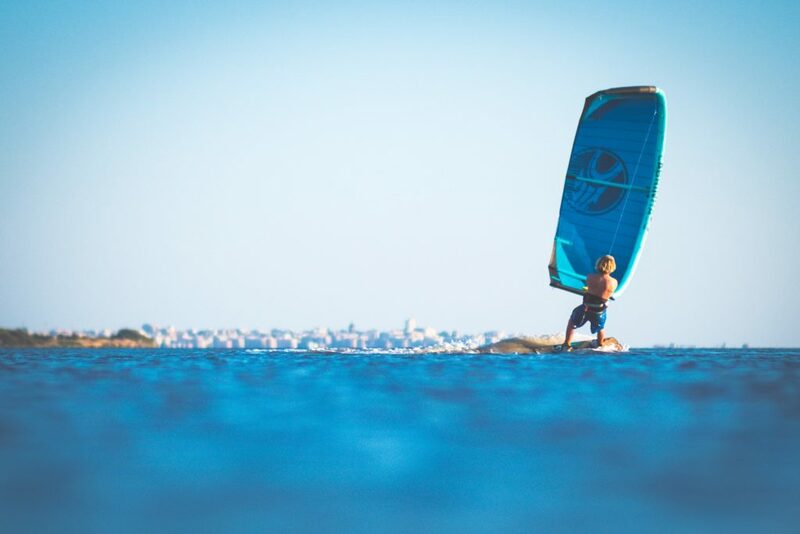 When its super light wind I put the freeride setting, and I go for a foil sesh, I also keep it there when the surf is up and I want the kite to sit deeper in the window. 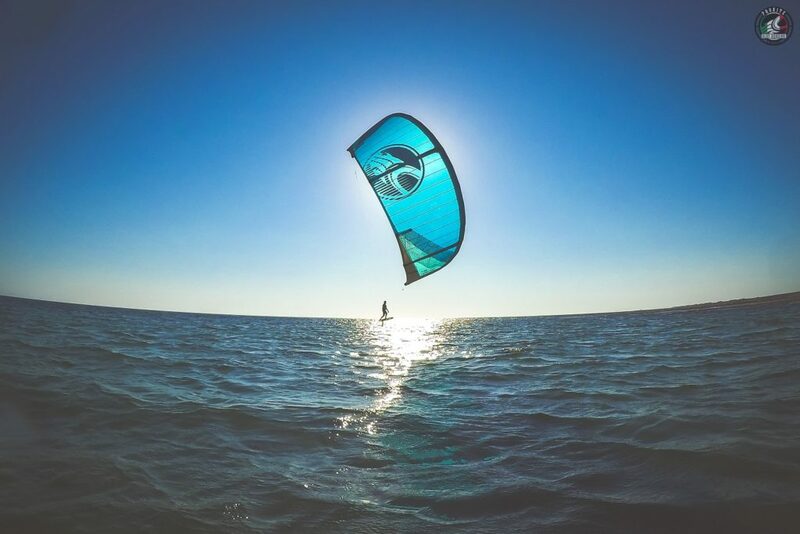 When the south wind is pumping and we do WOO competitions and big kiteloops, I use the Kiteloop setting, so the kite is super-fast thru the window, it actually has a similar feel to the 2017 model. 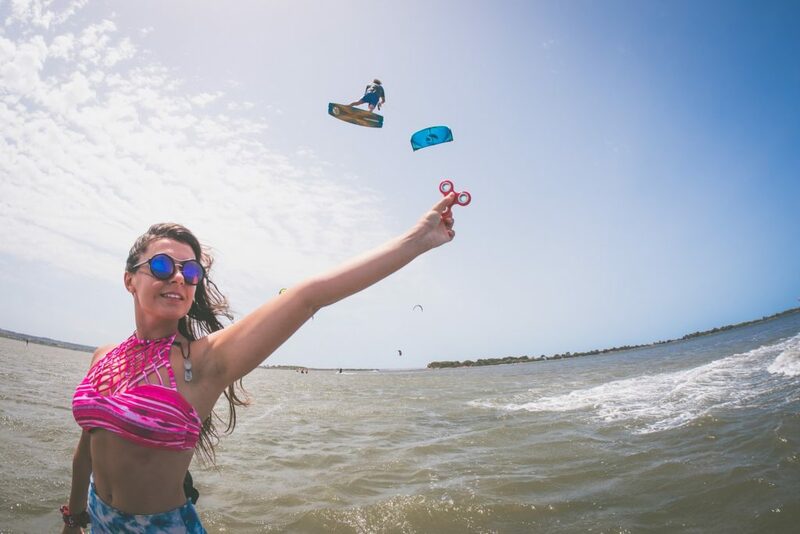 When the wind is perfect for freestyle and we hit the flat water here in front of the center, I tune the bridle on the freestyle mode and you can really see the kite sitting more forward in the window giving me a whole lot more slack for unhooked tricks! These new settings on the FX helped us a lot shooting the recent Tahiti video, cause we missioned it there and stayed there all day to shoot. I was powered on 12m using the freestyle setting at the beginning to pull long grabs and have a lot of slack, but then the wind dropped at sunset right when the light was amazing, so I changed the bridle to the freeride setting which basically makes the kite sit deeper in the window to have more low end power and still managed to ride and jump in front of the camera 😉 Now I am checking for some big wave forecast in the area since I am more than eager to switch twintip for a surf board and get proper vertical in critical section haha.